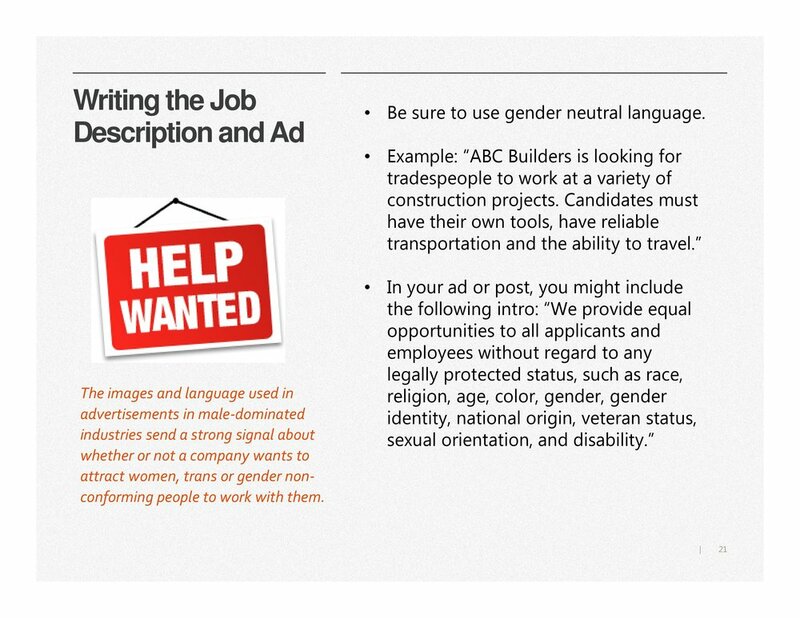 Here at HELM one of the issues we've been focused on is how to pave the way for more women, transgender and genderqueer folks to enter the building trades. 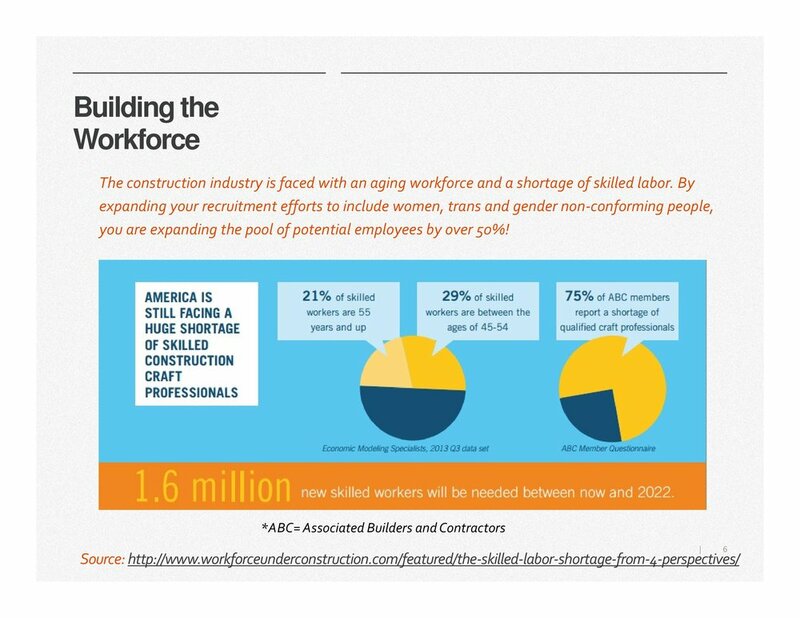 The construction trades have long been one of the industries with the lowest percentage of women in the workforce – as of 2015, less than 3% of workers in the Construction and Extraction trades were women. Data on the percentage of Lesbian, Gay, Bisexual, Transgender and Queer (LGBTQ) workers in the trades is not available. 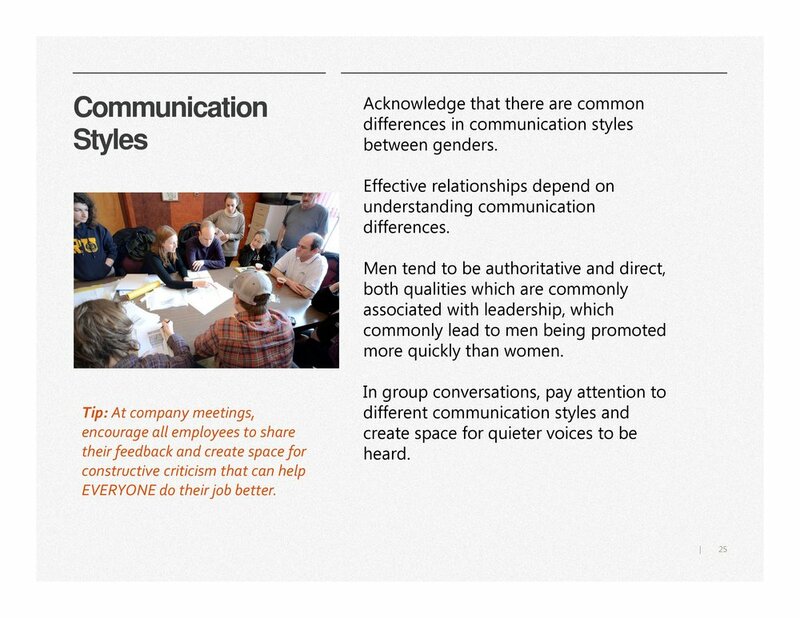 However, it is clear that many women and LGBTQ workers face bullying and discrimination as a result of sexism, homophobia, and transphobia in the workplace. So we developed a Toolkit! 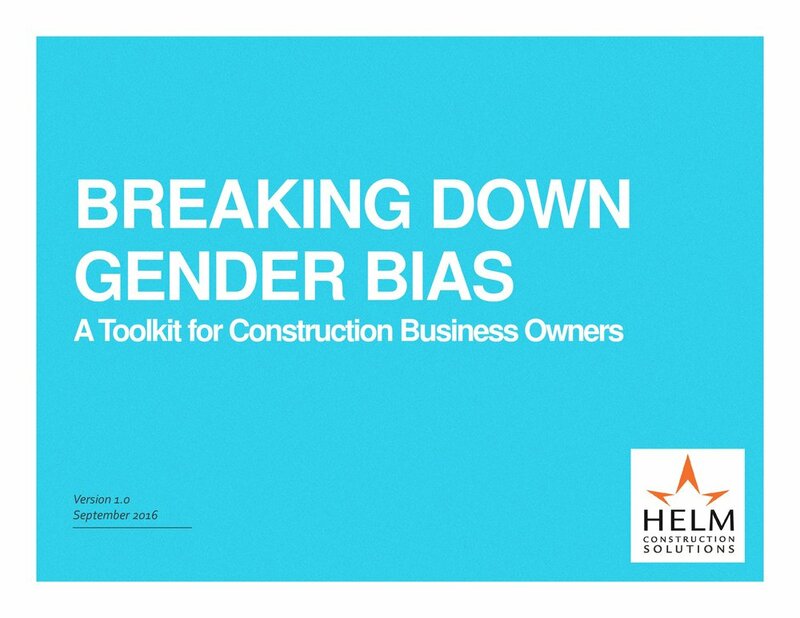 Our goal in developing this Toolkit is to offer an array of suggestions and solutions to help small business owners and managers break down gender stereotypes and create companies that are inclusive of all genders and sexual orientations. 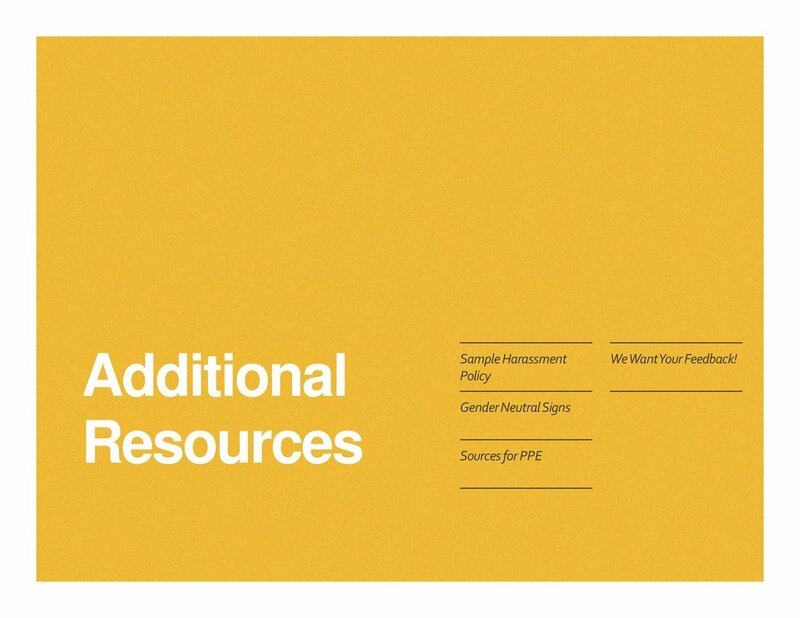 We recognize that many other kinds of discrimination happen in the workplace- including but not limited to race, class, ethnicity and ability- but this Toolkit is specifically focused on gender discrimination. 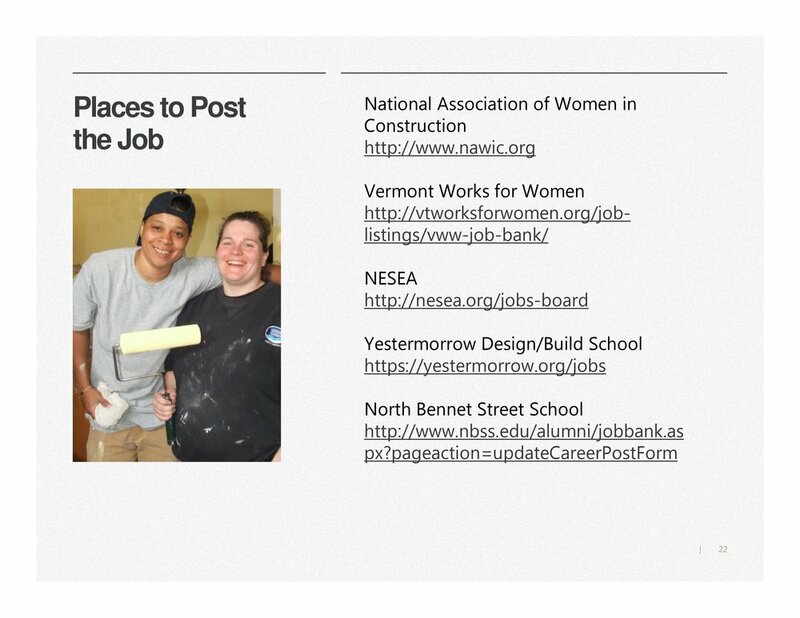 This toolkit was developed with help and feedback from many of our colleagues in the building trades and social justice movements. 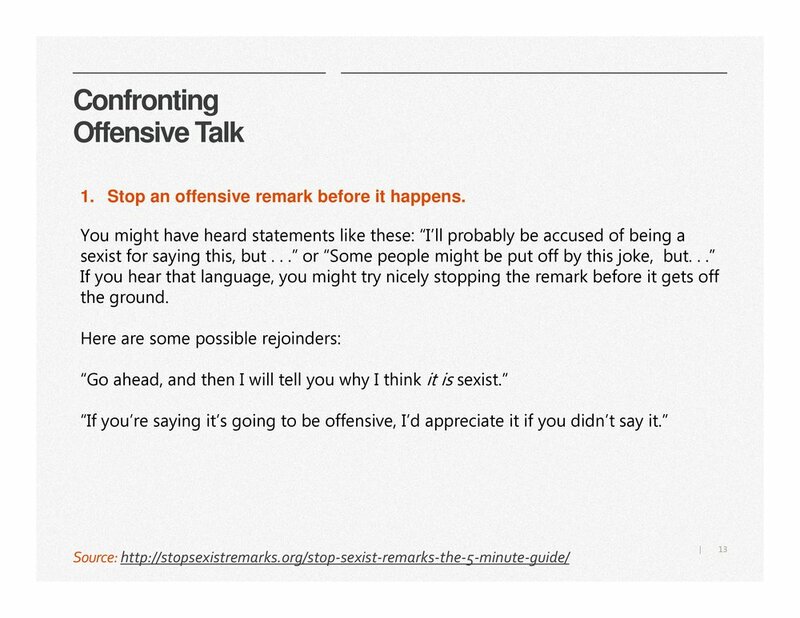 We recognize this is just a first step towards raising awareness of these issues in our industry and our workplaces, but we felt the need to start somewhere. If you have feedback on the Toolkit, ideas to share, or suggestions for additions, please email kate@buildhelm.com. 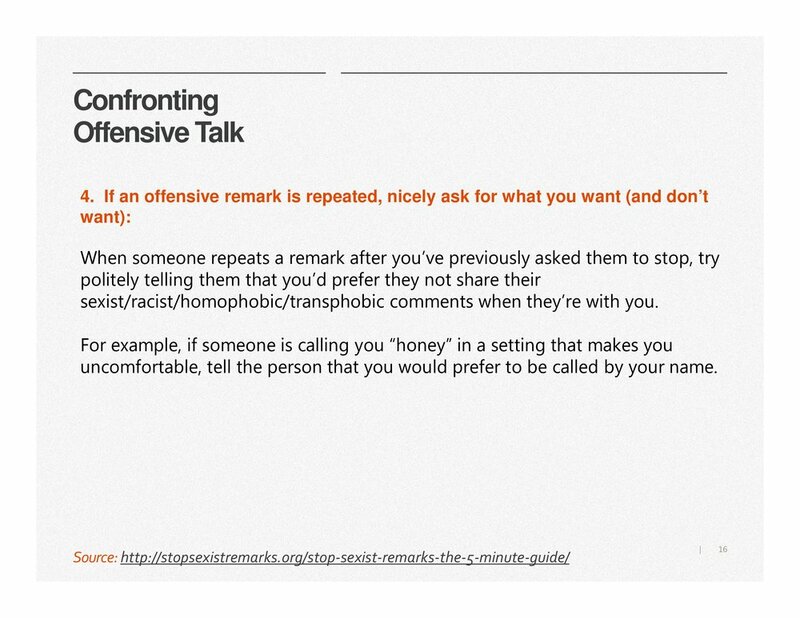 We look forward to developing this Toolkit as a living document. Please share it widely!